Maximizing the use of my miles is all about figuring out how many cents in value per mile spent that I am getting for a particular award. Each airline offers many different types of awards in addition to standard flight awards. For example, Delta allows customers to use miles for hotel stays, car rentals, and to buy merchandise at its SkyMiles marketplace. In almost all cases, I have found that these other redemption options provide inferior value compared to almost any flight award. For example, the SkyMiles Mall currently lists a Logitech Harmony 1100 universal remote for over 100,000 miles. Since this device that currently sells for $258 at Best Buy, this option is only worth .25 cents in value per mile! In fact, you could use those same miles for four separate round trip domestic tickets, or a single trip to Europe in Business Class. In contrast, when I use my miles to travel overseas in Business or First Class, I am usually able to find at least five cents per mile in value. Just because I can redeem my miles for an international Business Class ticket that the airline offers for $7,000, it doesn’t mean that I actually saved that much money. To be realistic, I have to imagine how many dollars I would have spent if I had to purchase that ticket, since I am not in the habit of shelling out tens of thousands of dollars in airfare, to say the least. 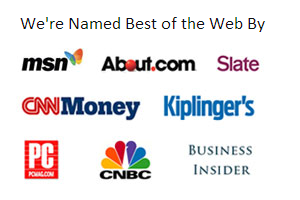 For example, this summer I used 120,000 US Airways miles each for three Business Class tickets to Europe and the Middle East, using US Airways' Star Alliance partners such as Lufthansa. The cash price of these tickets would have been about $7,000 each, yet it is inconceivable that I would have spent $21,000 for three tickets. The price for these same flights in coach is $2,000 each, and US Airways mileage awards required just 50% more miles for my family to fly in Business Class. Therefore, I considered each ticket of the Business Class tickets to be worth $3,000 to me, which means that I received a true value of 2.5 cents per mile redeemed. 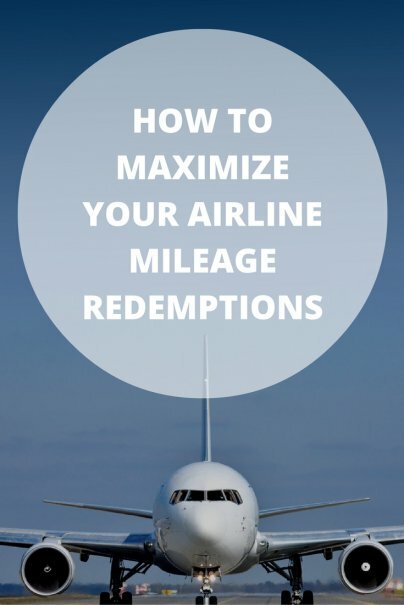 Likewise, even if you redeem miles for merchandise awards, don’t accept the value offered by the airline, which will always be its full retail price. Check to see what the lowest available price for the device or a that of a competitor's, and consider that price the true value of your award. Even though I avoid paying credit card interest by always paying my balance in full, the miles I earn from that spending still comes at a cost. Yes, there is often an annual fee associated with a mileage earning credit card, but the real cost of earning the miles is the cash back reward that I am forgoing. Had I been making purchases using one of the top cash back cards, I could be earning as much as 2 cents in cash rewards for each dollar spent. So if I am earning miles from credit card spending to use for a domestic round trip economy award that requires 25,000 miles, it has to be for a flight that I would have paid at least $500 for. Otherwise, I would have simply been better off using a cash back card, receiving the $500 directly, and just paying for the flight. Sometimes, the flight you need is priced in such a way that it just makes more sense to pay for it with cash rather than spend your hard earned miles. Consider the following example — last week, a student asked me to help him book two one-way tickets within Europe in conjunction with his semester abroad. The first ticket, from Brussels to Prague, would have cost him $350 to purchase. Without a second thought, I recommended that he redeem an award for 10,000 American Airlines AAdvantage that miles he had. His miles provided him with a value of 3.5 cents each. Later, he would be flying from Berlin to London. A quick check of airfares revealed a flight on British Airways for about $100. After redeeming another 10,000 miles and paying the taxes and fees required for an award booking, he would have received less than one cent in value per mile. Therefore, he wisely chose to purchase the ticket with cash, and he will even earn more American Airlines miles for his flight. The real key to maximizing mileage redemptions is to only consider awards that require the least amount of miles. Finding these award flights requires flexibility, skill, patience, and little bit of luck. For example, I just helped a friend book a trip from Denver to the Cayman Islands with her United Airlines miles. She came to me with a range of dates and was willing to move her trip around in order spend just 35,000 miles for a so-called Saver Award, the minimum possible. In the end, I was able to find her an award flight that would have cost otherwise cost her $700, and I recommended that she book it while it was still available. She did, and realized a respectable two cents in value for each of her miles, which is twice what she would have received had she spent 70,000 of her miles on what United calls a Standard Award in Economy Class. Getting the most value from your miles is part science, part game, and a little part luck. By closely adhering to these principles, you too can squeeze as many pennies from each point as my friends and I do from a travel rewards card. One thing I do when using miles is fly into smaller airports. If I am footing the bill I usually fly into the closest international airport. However, since most domestic tickets use the same amount of points regardless of which airport you are flying into, you can often fly into smaller regional airports for the same "price." This has allowed me to skip rental cars, pricey cabs, or inconveniencing others by having them pick me up.